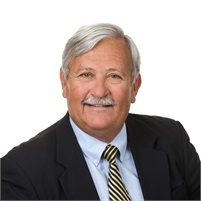 Ken Sigler, a Chartered Financial Consultant (ChFC), is dedicated to assisting individuals and businesses in comprehensive retirement and business succession planning. He believes that only through getting to know his clients on a personal level can he learn their needs and help them plan for their future. Ken has been in the financial services industry since 1986. He attended Newberry College of South Carolina where he earned his Bachelor of Science in Business Administration. Ken is a Registered Representative of Ameritas Investments Corp. and holds his Series 6, 63 & 65 Securites Registrations as well as his Long-term Care and Life, Health and Accident license. Active in his community, Ken attends Holy Trinity Lutheran Church and is member of the Parks & Recreation Commission of Hickory. Ken lives in Hickory with his wife Susan and son Bailey. Away from work he enjoys golf, boating and tennis as well as playing drums and singing with Men In Black Tie.